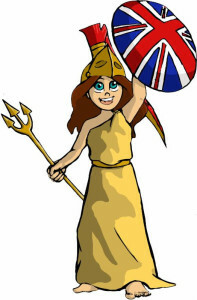 We now know that the EU Referendum will be on Thursday 23rd June. If there is the slightest chance that you will be away from home on that day, you should apply for a postal vote. Contact your local council and ask for Electoral Services, who will be able to get this in hand for you. As you can imagine this has been a very busy week for us at Better Off Out and for our teams of activists out in the country. * We launched our “Save Britain’s Cash” campaign which highlights the cost to the UK of our continued EU membership. We have available leaflets, beer mats, stickers and other campaign materials. To order them visit the relevant page of our website HERE. 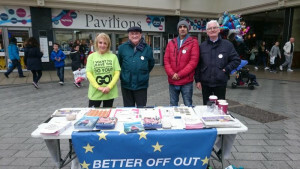 * Last Saturday as speculation raged about what Boris might do, we heard that the BSE campaign were planning to have a “Remain” street stall in Uxbridge high street to put pressure on him. 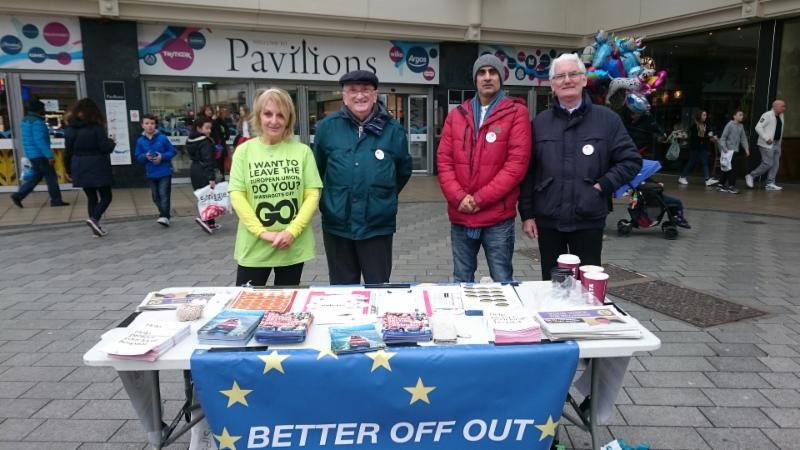 We responded by dashing there ourselves to set up a rival Brexit street stall together with local GO! and Vote Leave activists – once again proving that volunteers from the various campaign groups can work together (see photo). Very many thanks to Cliff Dixon for taking such prompt action on this. And of course, Boris came out for Brexit in the end. * Our latest podcast takes the form of a report from the London European Referendum Conference, organised by Gerard Batten MEP (UKIP). This event was held at the Abbey Centre in Westminster and was attended by over 200 people, all of whom had come to discuss the Brexit campaign in London. Listen to it HERE. * We published another research paper by Dr Lee Rotherham. “The Life of Laws” takes a look at how international trade regulations are produced and by whom. It takes two key examples of when this process works, and when it does not: electrical plugs and safety glass. Finally it analysis the role of the EU in the process and how Brexit would impact on Britain’s global trade. You can read it HERE. Finally, a reminder that you can order campaign materials as diverse as leaflets, posters, beermats and stickers to be delivered direct to your door. Visit our Campaign Materials page HERE, choose what you want and email your order to my colleague Charlotte Fairbanks on charlotte@tfa.net – remember to include your name and the address where things are to be delivered. Many thanks, and good luck on the campaign trail.